Reminder to all for upcoming working bees. We need your help if the climbing sites we use are to be repaired and managed by us. 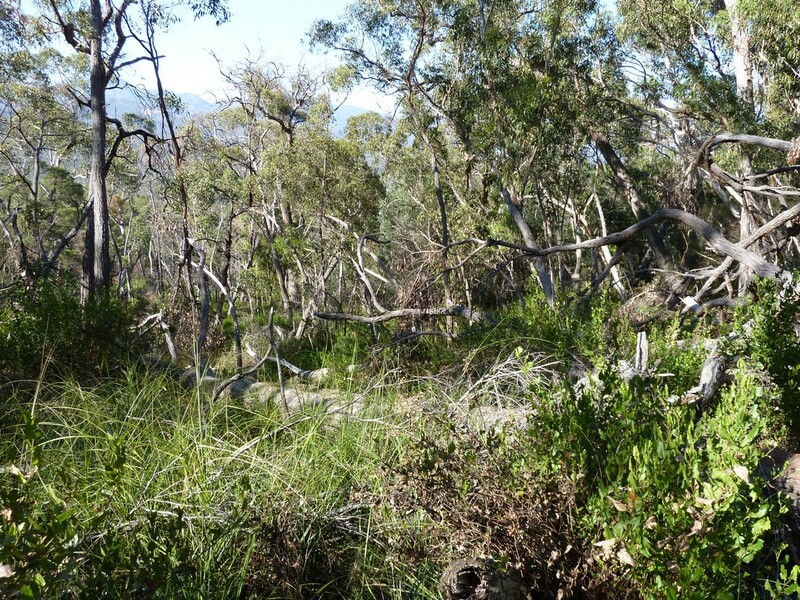 On Monday 12th March, I met with the walking track ranger at the Grampians, Kyle Hewitt and took the long and steep walk up the climber access track to the Gallery. As noted in a recent Argus and updates on the websites, sections of the track were closed off after the flood event in Jan 2011. After queries by members of the climbing community, Parks reopened a section so that climbers could continue to access the Gallery via their track rather than diverting back around past the art site which I what was happening. The correct access track does need some work though in order to help prevent further damage. 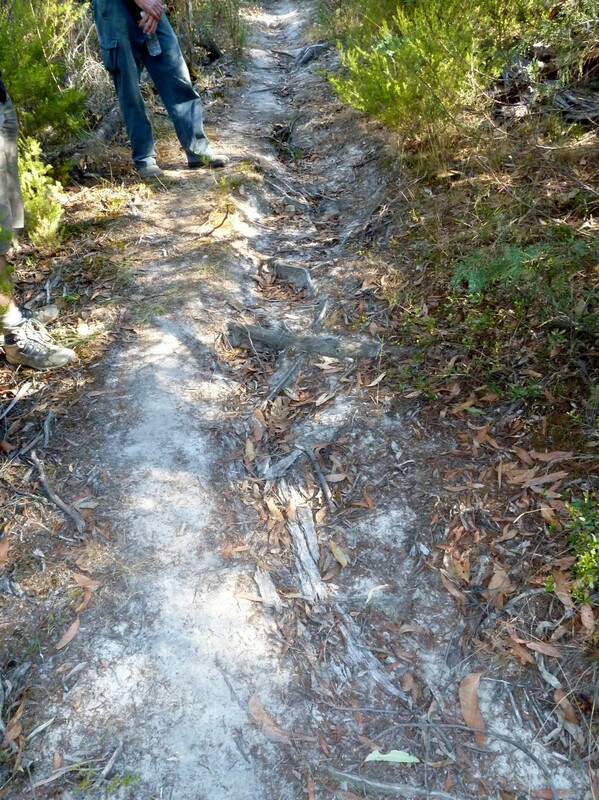 One of the main problems, especially with steeper tracks, is that besides some erosion that is created by those walking them, water finds these tracks as perfect little causeways to run down. This is what accelerates the erosion process even more and causes rutting. Add the flood event we had in 2011 and well, there are some sections that aren’t worth repairing a such. After further discussion with Kyle, it was decided that the best plan of action at this point would be to put in preventative measures along the track in order to control and direct the water off its intended trajectory – the climbers access track. Much of this will be done by installing water bars diagonally across the worst sections with small trenches directing the water into the vegetated areas. A few other tricks of the trade will also be employed. 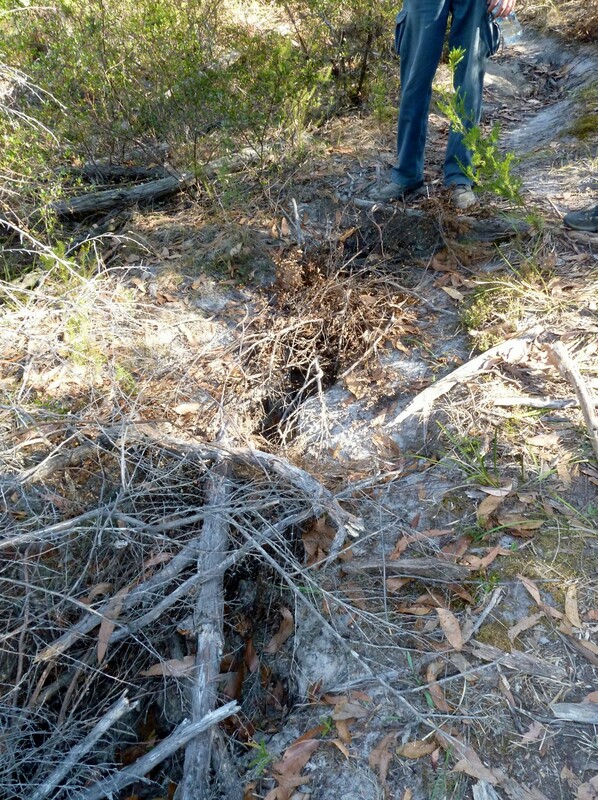 There are some sections of the track that have had large treefall and the track then becomes a little more confusing. This is where a chainsaw comes in handy – do we have any licensed chainsaw accredited climbers out there who might be available on the day. Parks Victoria are also keen to install a sign at the intersection after the bridge that makes note of the direction of the climbers access track to The Gallery – noting also that it is not a PV maintained track. It is not immediately obvious that the track is there compared to the other one on offer which is very obvious. If you know the area, no problem but for new and visiting international climbers it’s very easy to head up toward the art site which is exactly what we don’t want. And lets face it, if you go up that way you aren’t going to want to come back down and retrace your steps to get back on track – people will just continue up around the site. 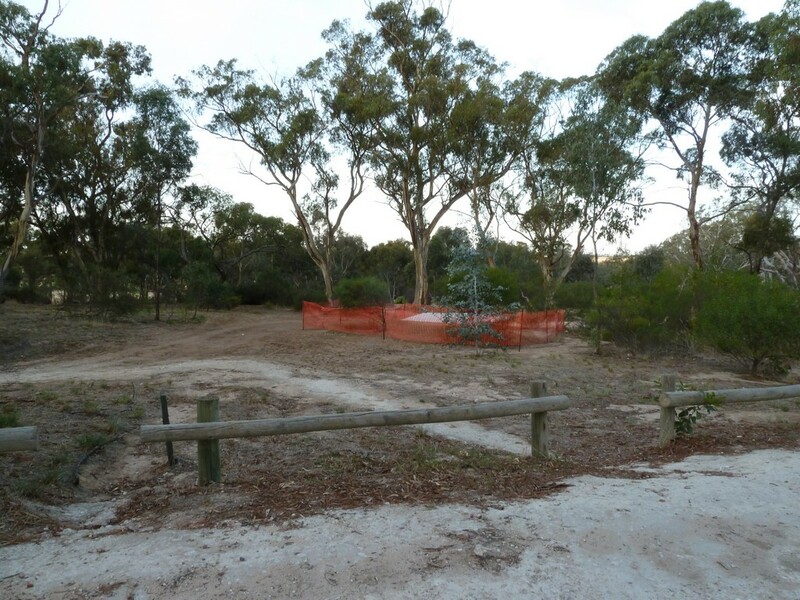 .In other exciting news, those who are partial to camping in The Gums at Arapiles will have to make the trek over to the Pines toilets for a little while. That famed building in the Gums that wafted its scent across the campgrounds on many a warm day and which truly tested the lung capacity for holding breath is now, no more. 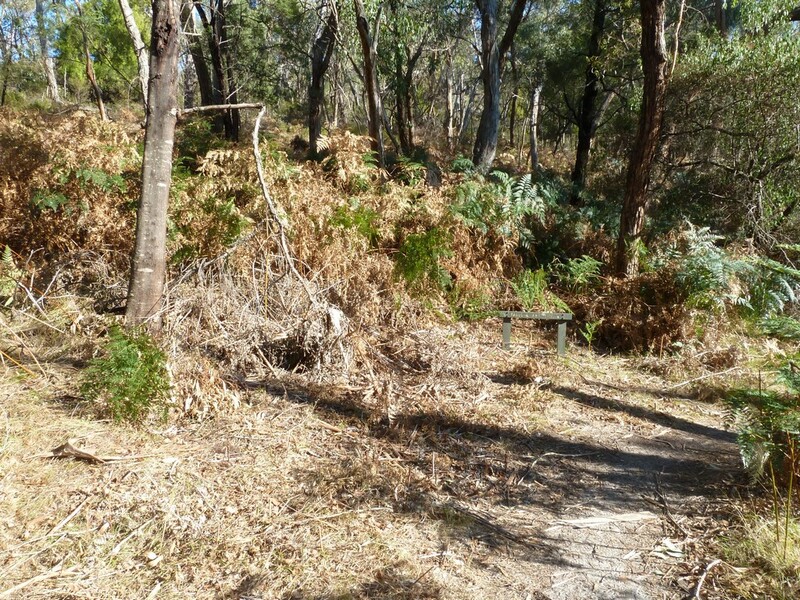 In its place a long drop toilet, like the ones in many Grampians sites, will be installed. Whilst composting toilets are great in the right environment, when they’re not, they don’t compost and end up being more work. Smell should be much better, though on a hot day it’s probably always going to be a little whiffy. Pit is already in as is the slab. The structure which is being done by another contractor will be a little while longer – Easter is an absolute must. I would hate to see the queues at the Pines that would develop otherwise. 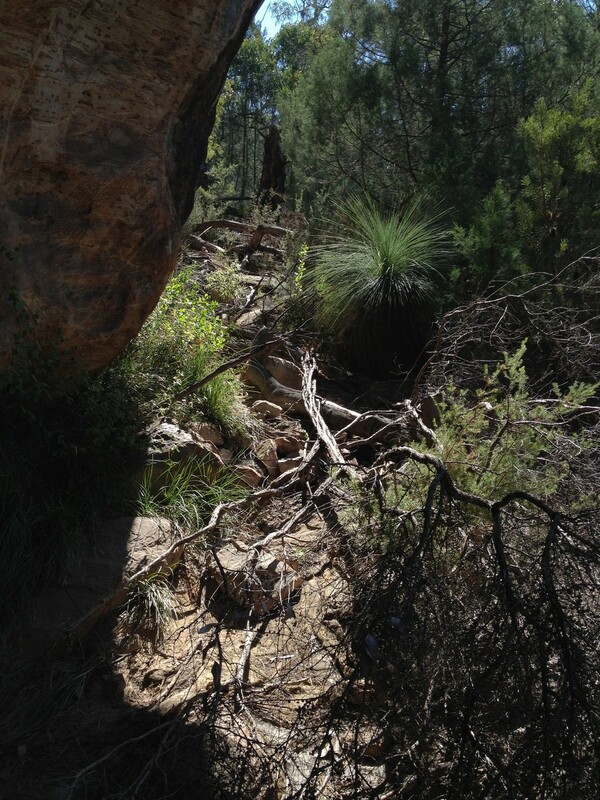 This entry was posted in Access &Environment officer reports, Arapiles, Grampians by Tracey. Bookmark the permalink.